Why catching the doll online is so hot? In contemporary China, live is a very popular phenomenon involving all aspects such as education, shopping, games. People even catch dolls on living. Toy crane machine not only is a popular different offline location but also has another way hot on the Internet. Then let us talk about what catching the doll on the line is and why it so hot? What is catching the doll on the line? Grasping dolls online, as its name implies, is the operation of catching dolls from offline to online. The main principle is using live and Internet technology for restoring scene about grasping doll. Users only need mobile phones or computers with the network to real-time remote control the doll machine platform to grasp. I get a doll will send to the user’s hands by courier. The user can play toy crane machine in anything or anytime without space or time-limited. The new play is originally popular in Japan and gradually spread to China. 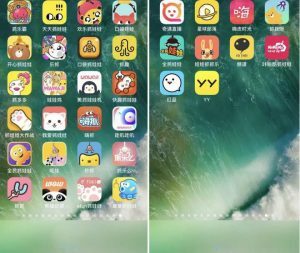 In the past two months, the app store has a variety of catching doll products on the shelves, most of which is the last month to come out. The market continues to expand in counting android system, applet, small procedures, and H5. From the user’s point of view, it overcomes the time and space limited and has more choice to play. As for businessmen, it means not to pay a high cost of rent and labor costs. The businessmen can rent a warehouse and combined with Internet technology to satisfy customer’s request. The toy crane machine is updating from coin-operated to smart devices for payment, networking, complex management, and other functions. The development of online hardware base from the offline intelligent equipment and software are based on live and mature Internet technology.